Sensei Sandeep Desai is the first Indian to be officially certified & authorised by Master Zhu Tian Cai to teach te traditional Chen Style T'ai Chi system. He has an experience of over 30 years in Marathi Arts, Yoga and Meditation. He underwent advanced training in the chen style T'ai Chi in Singapore in 2002 under the direct guidance of 19th generation Grandmaster Zhu Tian Cai, one of the world's foremost authorities on Chen Style T'ai chi. He has been featured on international television channels like BBC world, star Plus, CNBC TV18, Zee TV, Doordarshan, Channel V and Times Now. Original Tai Chi By Sensei Sandeep Desai DVD released by TIMES MUSIC comes in 1 disk DVD pack. Duration of the Health in DVD is 62 Min [approx.] While processing the order, we bubble wrap the DVD in its original packing and send it in sealed plastic or carton pack. We don't offer download of the Health Tai Chi By Sensei Sandeep Desai, nor we send free poster of the Health along with its DVD order. We also don't offer free wallpaper or song download of the Health. Poster and other accessories of the Health can be purchased separately. 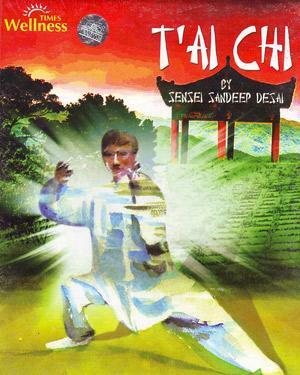 Buy English DVD Tai Chi By Sensei Sandeep Desai and watch them at the comfort Of your own home. 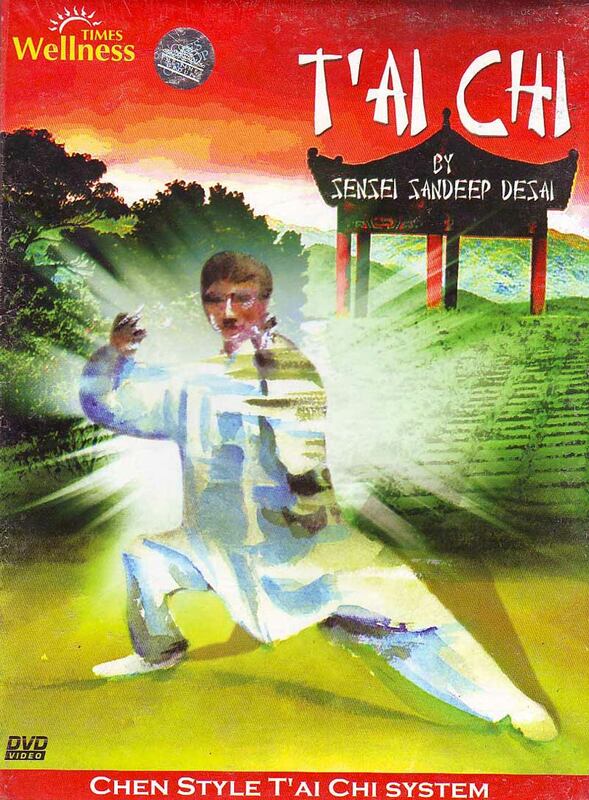 Online shopping Tai Chi By Sensei Sandeep Desai DVD, Buy Tai Chi By Sensei Sandeep Desai DVD, purchase original English DVD of Tai Chi By Sensei Sandeep Desai. 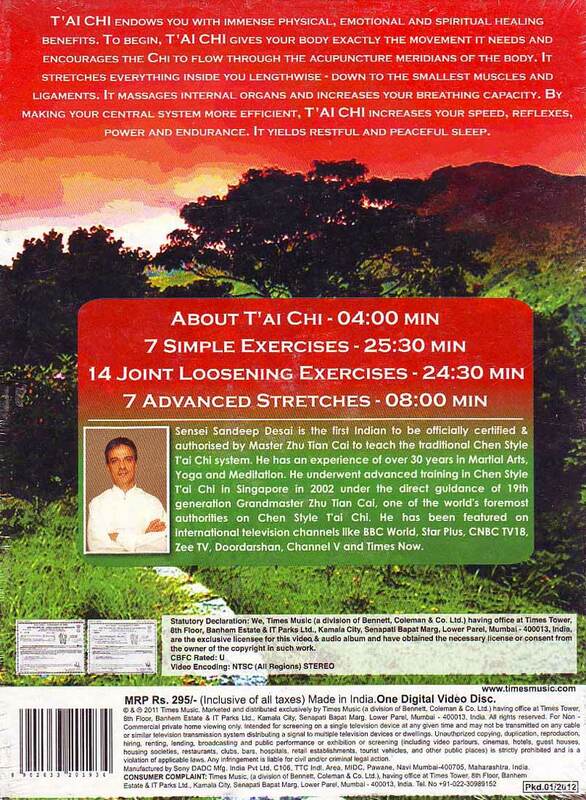 Online store to buy Tai Chi By Sensei Sandeep Desai DVD	, online DVD store india, buy English DVD, watch English movie Tai Chi By Sensei Sandeep Desai videos online. We don't offer DVD renting for English movies online, Buy Original Tai Chi By Sensei Sandeep Desai DVD @ discounted and cheapest price online in India.